It’s become a familiar and welcoming phenomenon: step into many a cosy cafe or bistro and you’ll discover a host of local drinks and dishes ready to tempt you. 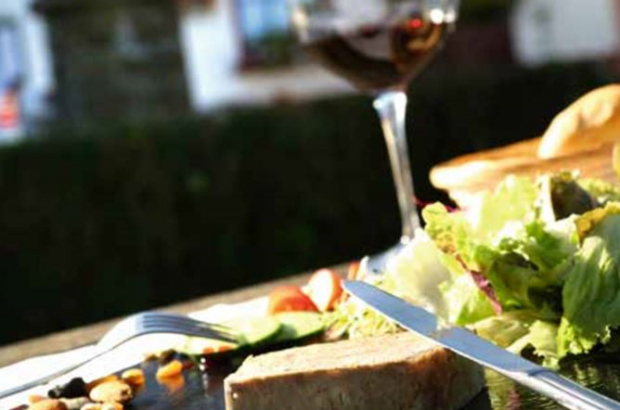 Since 2011, Wallonia’s tourist board has been promoting rural commerce via the Bistrot de Terroir network, with a focus on good quality produce and cooking. Now it has given the label a makeover to further spotlight regional specialities and local producers in collaboration with the Walloon agency for sustainable agriculture, Apaq-W. Throughout the region you will find the Bistrot de Terroir sign and a variety of rustic and quality food and beers from the simple to gastronomic. Diners at participating addresses are invited to question their hosts about the best local produce and regional specialities. Owners have signed up to serve as ambassadors for the network. To obtain the label, an establishment needs to satisfy certain criteria. Their drinks list must include at least five local products among their non-alcoholic beverages and beers, wines and spirits. On the food menu, there must always be at least one local dish, and they must use at least 10 regional products from the following list: charcuterie, condiments and spice, snails, foie gras, cheese, fruit and vegetables, eggs, bread, potatoes, dairy produce, fish, syrups and honey, meat and poultry. They must also mention the producers who supply them with the specialities. In return, they receive publicity via the label’s promotional tools, which include Facebook and a mobile app.